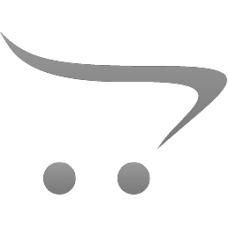 We stock 4 sizes of steel tarps (without Flaps) in 18 OZ Black. 14’W X 25’L (3’ drop), 16’W X 25’L (4’ drop), 16’W X 26’L (4’ drop), 16’W X 27’L (4’ drop), with grommets on the hem and 2 rows of D-rings on all 4 sides. Custom sizes and colors available. 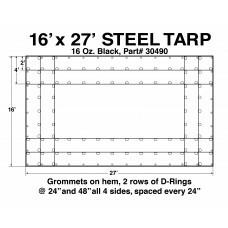 14'W X 25'L Steel Tarp 16 OZ Black - 3' Drop Tarp. Grommets on the hem, every 24” with 2 rows of D-..
16'W X 25'L Steel Tarp 16 OZ Black - 4' Drop Tarp. Grommets on the hem, every 24” with 2 rows of D-..
16'W X 27'L Steel Tarp 16 OZ Black - 4' Drop Tarp. Grommets on the hem, every 24” with 2 rows of D-..